COLUMBIA - Missouri Secretary of State Jay Ashcroft is pushing to increase funding for public libraries in Missouri's rural areas. 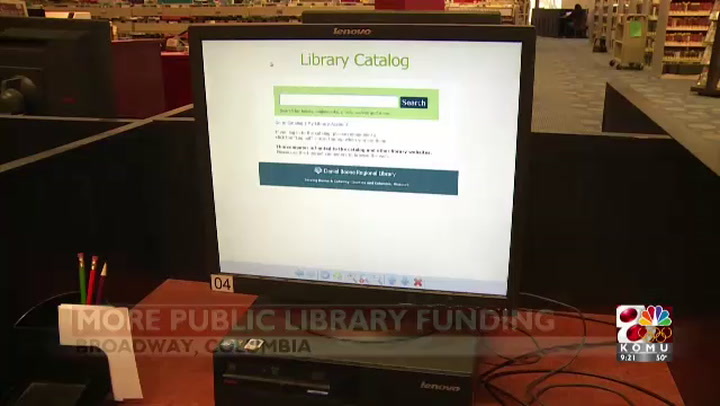 A portion of the funding would be appropriated to the Remote Electronic Access for Libraries (REAL) program, which uses the money to support public libraries with internet services. It received $3.1 million in 2014, but funding was cut to $2 million in 2015. "We had to absorb that cost," said Sedalia Public Library director Pam Hunter. "We just had to budget for that and other things had to kind of fall by the wayside." She said rural libraries are forced to cut services and hours. "You just have to juggle with your budget and see how you can absorb that extra cost because it's important to provide that service," Hunter said. She said getting more funding to public libraries would relieve tight budgets in other services. "If we cut our book budget from $50,000 to $30,000, then we can put that money back into the book budget and buy more physical books for the library," she said. Columbia's Daniel Boone Regional Library oversees libraries in Ashland and Fulton. Its spokeswoman, Mitzi St. John, said having internet available for the public in more rural areas has increased importance. "We know that a lot of the patrons in the more rural areas of our service area don't have the internet access as people do in larger metro areas," she said. "And so, a lot of those people rely on the internet services at the library to be able to access internet information." During the 2018 fiscal year, overall state funding for public library is expected to be $5.1 million. Ashcroft wants to increase funding to $10.4 million, which would return it to 2015 levels.